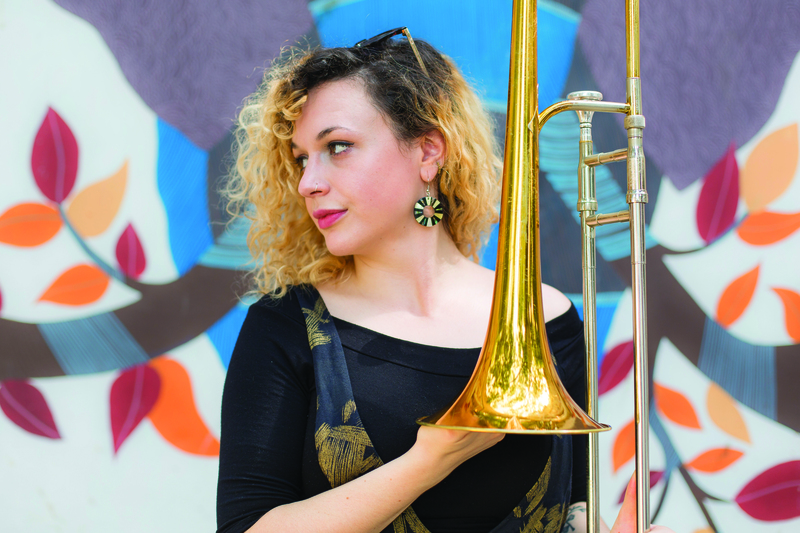 Just one of many great records to be released by Jazz Re:freshed of late, this EP from trombonist and composer Rosie Turton (Nérija, Where Pathways Meet) is another fine example of the flourishing UK jazz scene. Giving each and every musician the space and time to shine, Turton moves with confidence and ease through the realms of raga-inspired, spoken-word jazz via heavier violin, piano and drum-led compositions. Be sure to check her lovely revision of Herbie Hancock’s ‘Butterfly’ too. Lifted from the forthcoming ‘Temporal’ LP, the follow-up to her 2015 opus ‘Asperities’, ‘Crepuscolo’ is another string induced moment of melancholy composed by cellist Kent. Originally derived as a set for theatre, you can easily hear the emotive tones and how this would transcend to live performance. Rich in tone and structure, with plenty of spatial awareness, there is a definite depth to her playing and composition that leaves the listener in a plaintive mood. Now up to album 14 (they decided to skip No.13 apparently), Lambchop are back, not with so much of a bang, but more a ponderous whimper, as they tip-toe into the world of Auto-tuned pop inhabited by Bon Iver and James Blake. It’s sufficiently different to each of the above, and naturally bears all the usual trusty Lambchop audio identifiers, including Kurt Wagner's iconic vocal. But it’s just a little lacklustre and uninspired, especially when you consider what they are capable of. Country got soul… and Auto-tune. There has already been a plethora of hackneyed descriptions thrown at the sound made by this 26-year-old Londoner. Sure, there are definite sonic markers such as The Streets, Billy Bragg, Michael Kiwanuka and Damian Marley (and the fact that he was once a member of the grime collective B.O.M.B squad will likely confuse matters even more), but essentially, Baker is a singer/songwriter with an exciting approach to story-telling. Honest, disarming and plain-speaking social commentary — Baker calls it “G-folk", and why not? Formally the man behind Le Blonde, Jarvis takes another nom de plume to exorcise another sound from within. Coming from the ‘The Same But By Different Means’ LP, where tracks range from seconds to over eight minutes, it’s somewhat of a sketchbook sound that relies on found sounds, field recordings and his own narrative to knit the pieces together. ‘Fruits Of Disillusion’ is possibly one of the more coherent offerings on the LP, but it falls short in being able to engage fully, unfortunately. For fans of the post-punk aesthetic, Grebenstein & Seefried echo many moments from music’s rich heritage, be that the musings of Laurie Anderson or the abstract leanings of Annette Peacock. Restricting themselves to one synthesiser, one drum and one voice, it’s a crystalline production that cuts through with razor-sharp accuracy and surprising warmth. ‘Raging Tender’ and the X-rated ‘Body Electric’ are the gems worth seeking out here. There has been a wealth of lovely acoustic records released over the past month or so, but this single lifted from Augustine’s latest album has a certain resonance, beauty and heartfelt originality that makes it super, super special. Produced by Thomas Bartlett (St. Vincent, Sufjan Stevens, Antony And The Johnsons), the entire album was apparently made in five days, but by way of a perverse contradiction, you couldn’t wish to hear a more unhurried, un-rushed and achingly beautiful record. The brass band's band of choice (surely?) turn another classic into their inimitable own. This time it’s the king of the Ibanez guitar, George Benson, who gets the Hot 8 treatment. Not a six-string instrument in sight, though — as ever, it's raw horns, frenetic drums and good times all around. Another quality release from the Berlin-based Philophon camp. Rising Ghanaian reggae star Y-Bayni eases you into 2019 with this slice of magical roots, and the backing band get their own airtime on ‘We Are The Band Of Enlightenment, Reason And Love’, showing what makes this a unique partnership. Part of a trilogy, split across three slabs of seven-inch vinyl, this lovely piece of shapeshifting UK jazz from multi-instrumentalist and producer Pete Cunningham strikes just the right balance between tradition and forward-thinking experimentalism. Jazz with a psych-kissed, electronic edge. The second single in as many issues to feature the production skills of Danger Mouse. Yes, yes, we know, but it is another damn fine song, and the first in four years for DM and The Shins' James Mercer. 1. Autechre 'Vletrmx' Warp "A beautiful exploration of synthetic strings, reverb and distortion, that builds and builds… and builds. Perfect example of tension and release in music." 2. Chris Carter 'Ghosting' Mute "All those years afterwards, a running bassline with surprises on top. The Workshop were asked to do a remix version of 'Blissters' from his excellent 'Chemistry Lessons' album — 'twas an honour!" 3. Malcolm Cecil 'Zero Time' Atlantic "One of the most beautiful early synth albums. 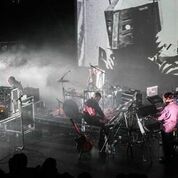 Malcolm and his mega synth TONTO remain the pioneers (men in partnership with machines) of a really organic form of electronica." 4. Katlyn Auralia Smith 'First Flight' Western Vinyl "A great live artist as well as a studio innovator. Her use of modular and rack synth modules, ‘tweaking’, live vocal manipulation and fluid sense of rhythm are leading edge." 5. Karlheinz Stockhausen 'Gesang Der Jünglinge' Deutsche Grammophon "The term ’seminal’ is so often bandied around, but this recording is truly seminal." 6. Jacob Collier 'Don't You Worry 'Bout A Thing' No Label "Coming in from jazz beginnings, using all available studio techniques, this impossibly young chap takes this Stevie classic and upends it. He is a force of nature." 7. The Notwist 'Run, Run, Run' City Slang "Casio home keyboards a-go-go, Kaoss Pads, dark modes and melodies, plus a resolutely DIY approach to making music make this 100% satisfying." 8. Mark Pritchard 'Sad Elron' Warp "Such exquisite poise and delicacy. A perfect soundtrack for virtual lives on a digital planet." 9. Greg Stoddard 'Odyssey' Soundcloud "IDM that rekindles the spirit of classic Global Communication, Vangelis and some of the more recent mind slam of Beyond The Wizard's Sleeve." 10. Henry Mancini 'Peter Gunn' Analogue Productions) "This is where the basic idea of riffing over a bassline can take you. Unexpected leaps and entries all over the place, with a shock end which cuts right across the beat."